This Conference is open to members, candidates, and spouses/ partners at the C. G. Jung Institutes of Los Angeles and San Francisco. Jung remarks that “the opposites are the ineradicable and indispensable preconditions of all psychic life” (CW 14, para. 206) and he uses the alchemical image of the coniunctio as a quintessential symbol for the union of disparate substances. He says, “the real meaning of the coniunctio is that it brings to birth something that is real and united” (CW 16, para. 458), but it “is never an initial state; It is always the product of a process or the goal of endeavor” (CW 16, para. 462). Finally, he emphasizes, “what the union of opposites really ‘means’ transcends human imagination” (CW 14, para. 201). Stories, images, and language from our consulting rooms, our personal lives, our professional gatherings, and in the larger realm of cultural or global human experience summon us to venture further into the unknown and imagine the coming together of seemingly disparate elements? 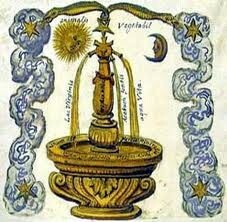 During the conference, as a learning community, we will individually and collectively reflect on the alchemical image of the coniunctio from a 21st century perspective that might expand upon Jung’s contemplation of alchemy as a metaphor for the psychology of the transference, the dynamics of the transcendent function, and ultimately, the transformation of psyche. On Thursday evening, from 5:30-9:30, we will gather for registration, light refreshments, and movie night. Our Psyche at the Cinema screening will be The Big Lebowski.Please plan to join us for this informal kick-off to an engaging conference. Different ticket types will need to be purchased in separate transactions. Spouses/ Partners will need to create their own Learning Express account in order to register for the event (or you can do it for them!). For questions about registration, please contact Helene Dorian at 415 771 8055 x*210 or hdorian@sfjung.org, or Erica Edwards at eedwards@sfjung.org. For questions about the conference, please contact the organizing committee chairperon, Michael Bala at mbalamft@gmail.com. The C.G. Jung Institute of San Francisco designates this live activity for a maximum of 9.00 AMA PRA Category 1 Credit(s)™ Physicians should claim only the credit commensurate with the extent of their participation in the activity. Credit issued after conference is attended and online evaluation and post-test have been completed.